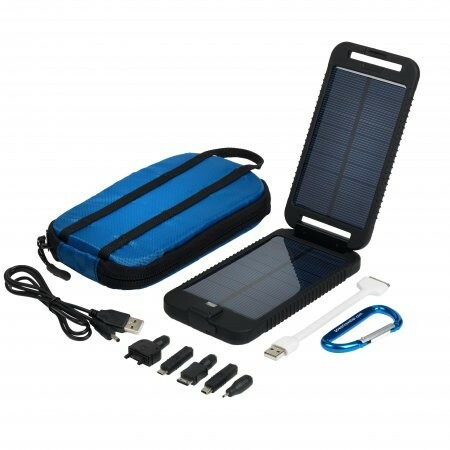 The polysilicon solar panel offers photovoltaic efficiency up to 17% and features a USB 700mA @ 5V output, fully supporting Apple iPhones, iPads, iPods, mobile phones and other 5V gadgets such as portable games consoles, handheld GPS systems, e-readers, etc. When adventurers finally stop after a day’s exploring the solarmonkey adventurer can carry on charging itself and other devices efficiently in low light conditions thanks to the maximum power point tracker (MPPT) technology within it and, when the sun finally sets, the internal battery can also keep your devices powered through the night. All Powertraveller products undergo extensive testing and the solarmonkey adventurer is no exception. Feedback from the company’s most extreme brand ambassadors was really positive and they loved the bespoke travel case. 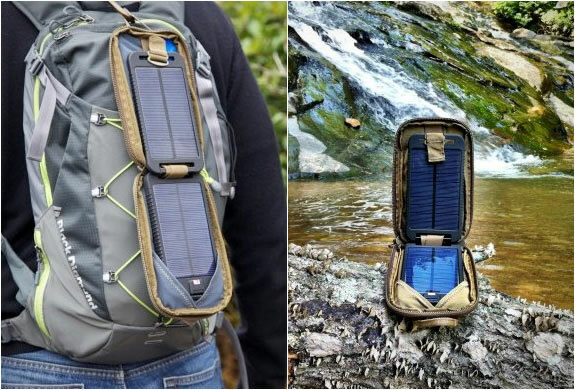 This has been developed using toughened materials and includes integral fixings, straps and a carabiner so that the solarmonkey adventurer is well protected and can be firmly secured to a backpack to make the most of the day’s sunlight to recharge the internal battery unit while on the go. There are also pockets within the case to hold your cables and tips. 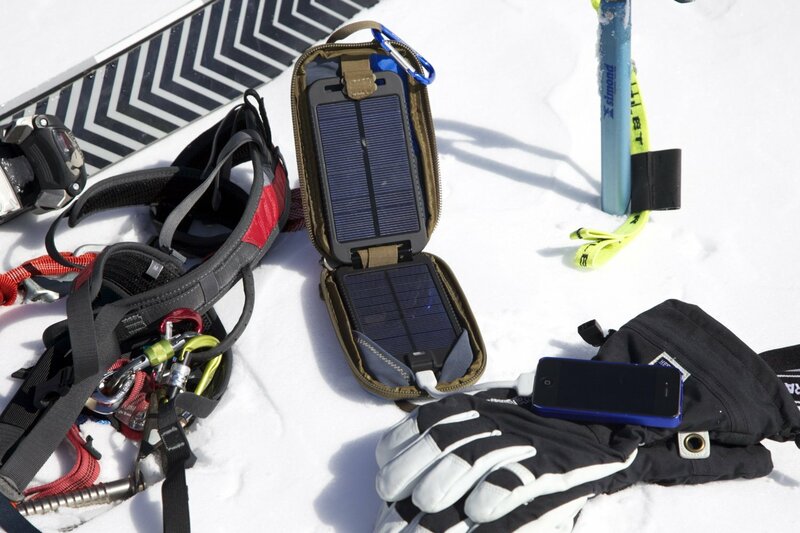 One of the features of the solarmonkey adventurer is that it can simultaneously charge the unit and recharge a device via the USB port. The bespoke travel case allows easy access to the USB port – perfect for saving time when you need to check if you have missed that important telephone call or check your coordinates on the GPS. Before embarking on your next adventure, you can pre-charge the internal battery using the International Mains Charger, available separately. 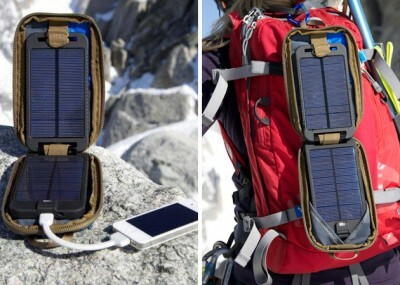 Packed full with protection features including short-circuit protection, overload protection and low voltage protection and importantly, thermal insulation battery protection giving an operating temperature range of -10 to 90 degrees C, the solarmonkey adventurer adds an exciting new dimension to the existing Powertraveller range.